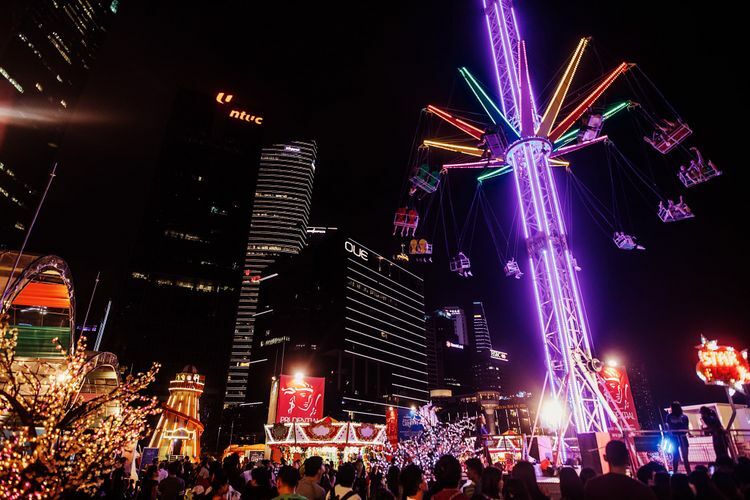 Welcome the new year with Marina Bay Singapore Countdown 2019, the largest countdown event in Singapore, with the Prudential Marina Bay Carnival, returning to the Bayfront Event Space for the second year. With 50 thrilling rides and games, and new elements such as food challenges and a dance competition, as well as roving food trucks to satisfy hunger pangs, arts and craft workshops, buskers to entertain the crowds, there’s something for everyone! (Extended hours till 2am for Christmas Eve & New Year’s Eve).